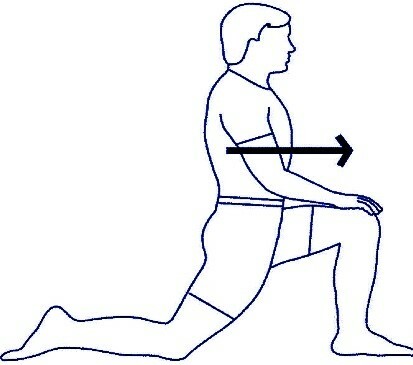 Starting position: Kneel with your right knee on the floor and have your left hip and knee bent with your left foot on the floor. Action: Lean your weight forward into your right hip whilst keeping your back straight. You should feel a stretch at the front of your right hip.